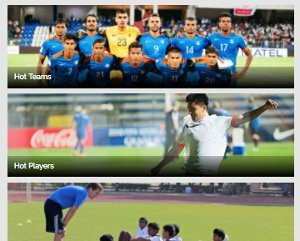 The state football association has sent a letter of apology to the AIFF. 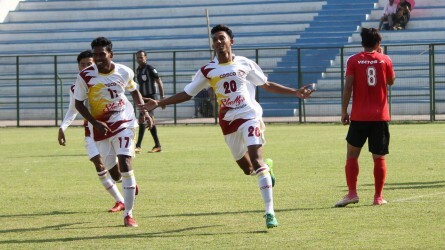 The pre-quarterfinals of the inaugural edition of the Super Cup are just a few hours away and the organisers are facing a new challenge as part of the main playing area of the Kalinga Stadium got damaged due to chemical reactions in the white solution which is used for markings on the pitch. The incident happened on Wednesday when the groundsmen were preparing the ground. Soon after all the markings were done, it was seen that grass in the marked areas turned similar to that which has burned and the area surrounding those markings became yellowish in colour. Looking at the condition of the pitch, one might say the grass has disappeared, leaving a barren area behind. 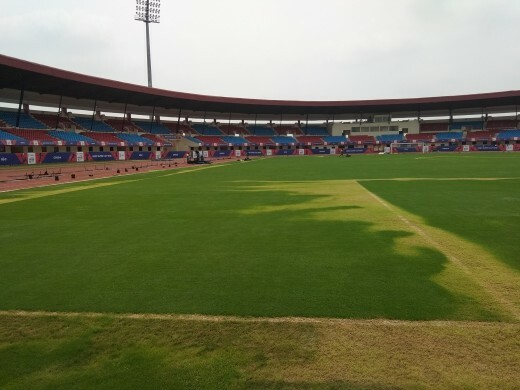 Football Association of Odisha (FAO) which is the local organising body along with the AIFF for hosting this event, however, have assured that they are doing everything possible to bring the ground back to playable condition before the tournament. "We have written a letter of apology to the AIFF citing this incident and are doing our best to make the ground in time before the match," FAO President Debasish Samantray said at a press conference on Thursday. 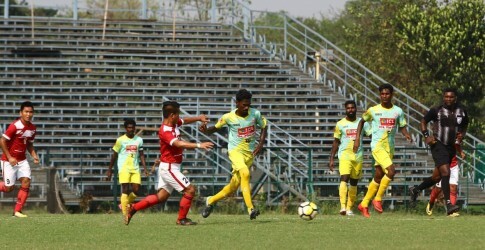 Despite the assurances made on FAO's part, no officials from the local footballing body, nor anyone from the sports department of the Odisha government were seen on the ground on Friday.. 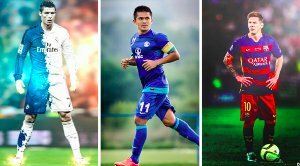 The stadium which has hosted a single ISL game on February 25 apart from the Super Cup Qualifiers earlier this month was lauded as one of the best grounds in the country by Indian Arrows head coach Luis Norton de Matos earlier. Besides Matos, several other coaches who have had their teams played at this venue have also made positive remarks about the ground, which speaks volumes of its prior condition before the incident. Meanwhile, Aizwal FC coach Santosh Kashyap who is currently in the city with his team to play the pre-quarterfinals against ISL champions Chennaiyin FC was a bit amused to see such a condition of the ground. "The ground looks absolutely beautiful, but with this condition, I don't know how the organisers will fix this in such a short time," Kashyap asserted. Another IMG-R official, who didn't wish to be named however sounded a bit low about the condition of the ground. "In European countries what happens is that they use water solutions for markings, but in India, these people use synthetic or plastic solutions and I guess maybe because of that this thing happened," the official lamented.